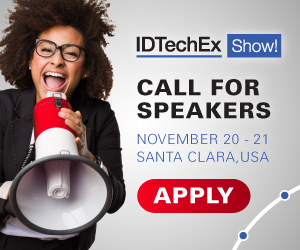 Research your market by exhibiting at the IDTechEx Show! Conducting market research on why companies want your product is usually a necessary step for successful commercialization. It is even more important when new technologies are developed that achieve things that were not possible before: Often the applications for the technology turn out to be very different from those intended by the creator. There is also the added challenge of matching applications to the development roadmap of a new technology. Initially, the technology will have limitations which will, over time, be resolved as the technology is improved. Many companies, and in particular smaller ones, don't have the luxury of waiting years to develop the ultimate product specification while generating revenue from what their technology can do now. These are just some reasons why market research is so important to companies, allowing them to identify initial application niches and provide longer term focus for development and building products that solve problems. IDTechEx Research's expert team of analysts provide a market research service to assist you with such assessments. There is also another way IDTechEx can help you with your business development - through exhibiting. Companies exhibit to market and sell their product, network and build their brand visibility. However, another key benefit to exhibiting is to conduct market research in a cost and time effective manner, by engaging with targeted, senior executives and eliciting their feedback on the relevance and need for your products in their industry. For some time, this has been a second and strong objective of many of the companies exhibiting at the IDTechEx Show! providing a payback on their investment. The event, held on November 14-15 in Santa Clara, CA, will bring together 3,500 senior executives across many industries. Uniquely, the event covers nine key technology topics, from horizontal products such as enabling materials and equipment to vertical industries including automotive, wearables and IoT. This tremendous mix provides exhibitors with representation from the full value chain. Over two days in one place, exhibitors can interact with a large number of people. The IDTechEx Show! is not a free-to-attend exhibition, which means all attendees are qualified with interest through their investment in attending the event. In addition to the targeted focus of the individual conferences, the co-location of the topics means exhibitors can engage and identify their opportunities with executives from industries that they may not otherwise meet. Even if you are not yet ready to launch your product, exhibiting is an important way to develop your business through the market research benefits that the IDTechEx Show! provides - there's nothing quite as good as engaging face to face with the right people to probe the challenges experienced by their industry.